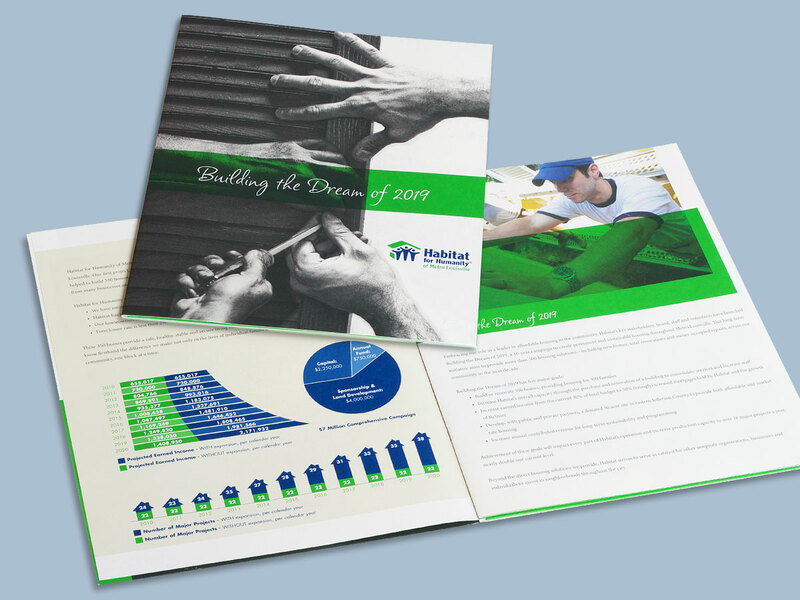 “Building the Dream of 2019″ is the anthem for the Habitat for Humanity’s 10 year capital campaign. The goal: to raise funds for more than 300 permanent and sustainable housing solutions throughout Metro Louisville over the next decade. 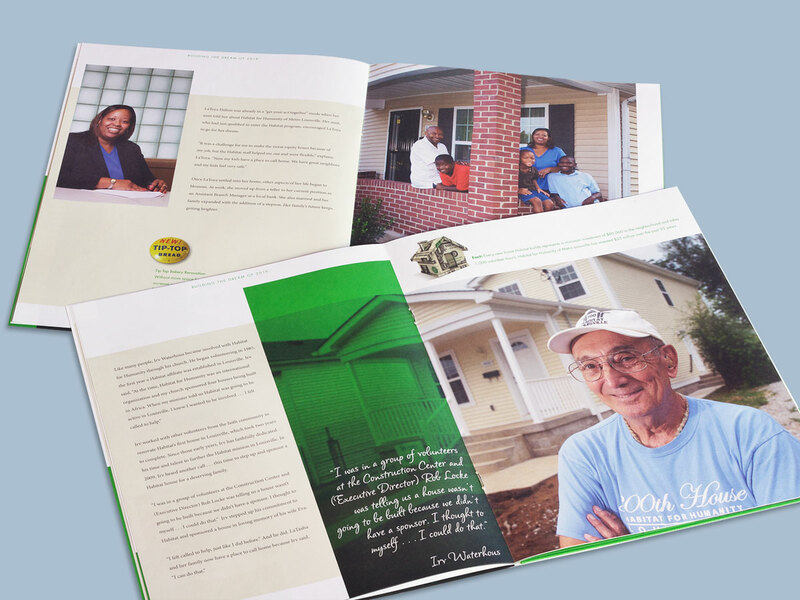 The marketing brochure highlights past project successes, spotlights volunteers and illustrates the funding needed to meet this ambitious goal.